Samsung has added three new phones to their Gravity lineup, and the Gravity T leads the way. 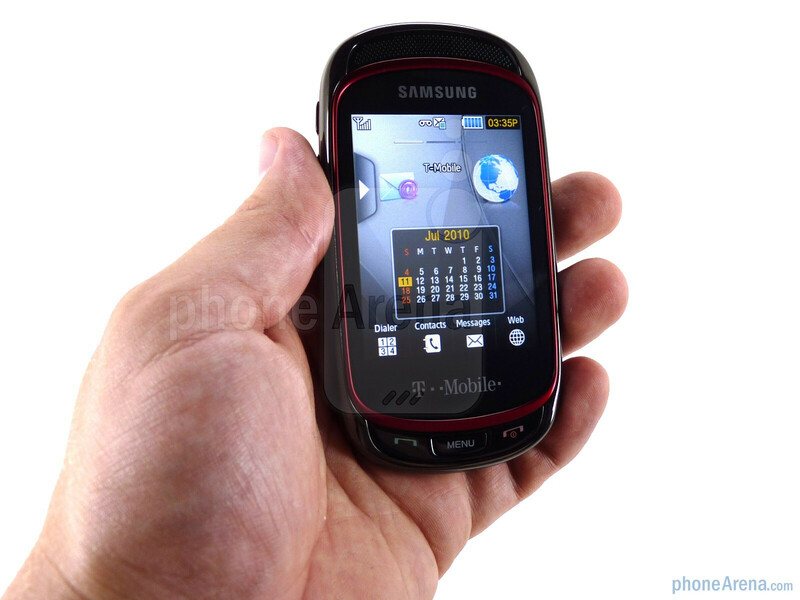 The T in this case stands for “Touch,” referring to the phone’s 2.8” QVGA touchscreen display. 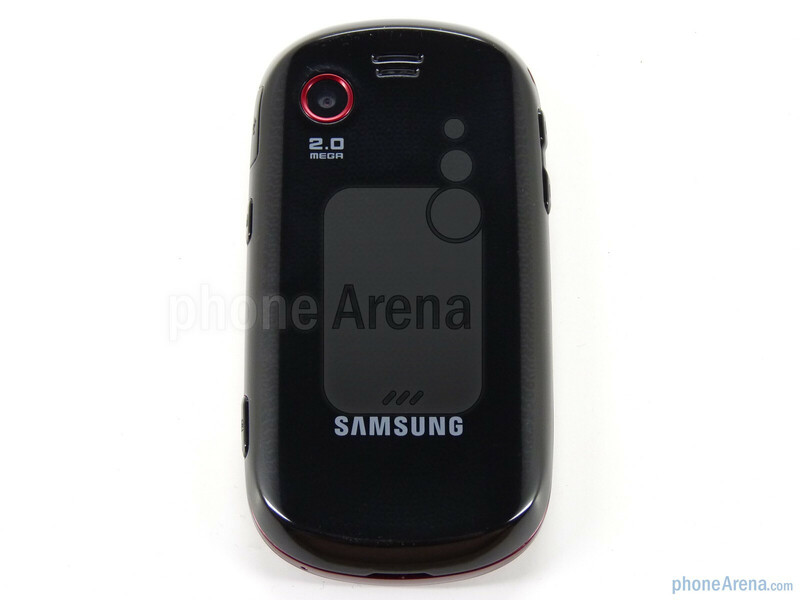 Other features of this mid-range 3G featurephone include a 2 megapixel camera, microSD expansion and slide out QWERTY keyboard. The Samsung Gravity T is a stylish phone; we prefer the red accented unit we reviewed but for the more conservative a silver trimmed Gravity T is available as well. 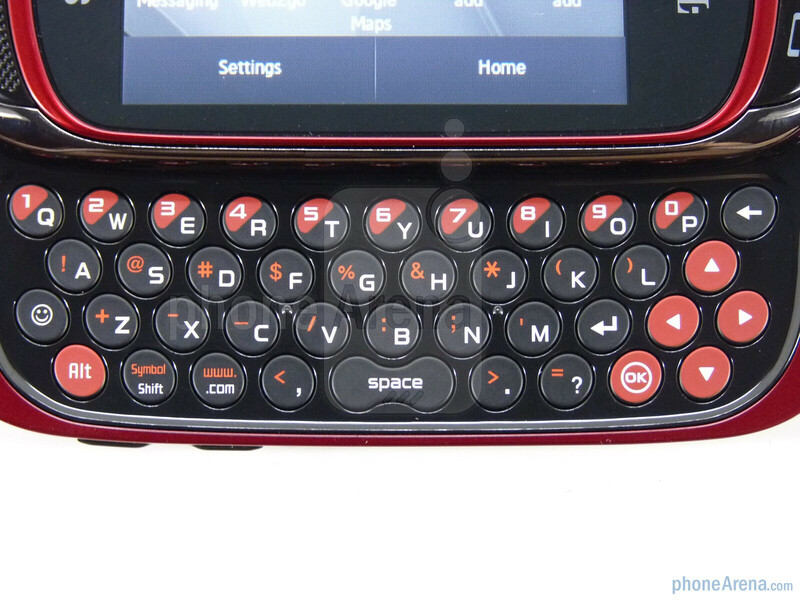 Both offer splashes of red on the QWERTY keyboard to designate alternate key functions. Below the 2.8” display is a simple set of keys featuring Send, End and Menu. The display is decent enough, pretty much exactly what you’d expect to find on a simple feature phone. The QVGA resolution is positively low- to mid-range these days, but as is the norm for a Samsung panel, it looks very good with 262K colors. It does wash out easily, however, as you can see in our images. 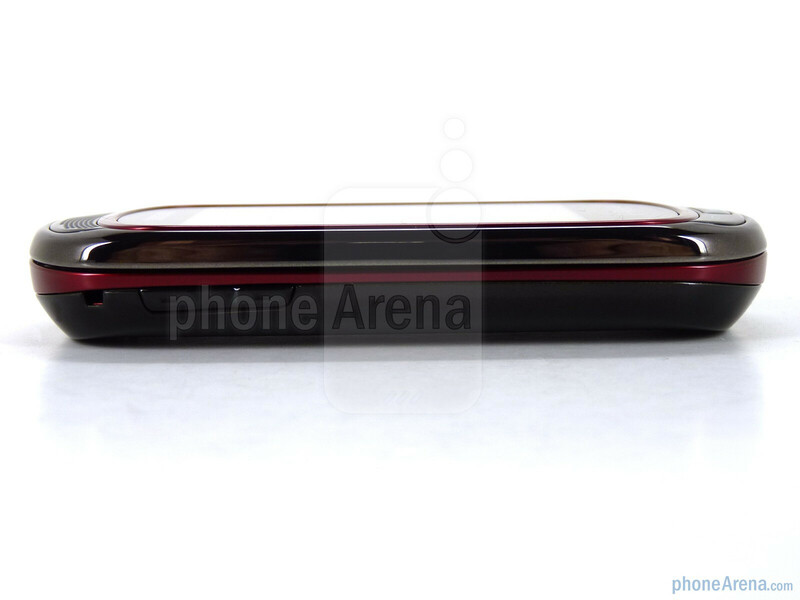 You can compare the Samsung Gravity T with many other phones using our Size Visualization Tool. 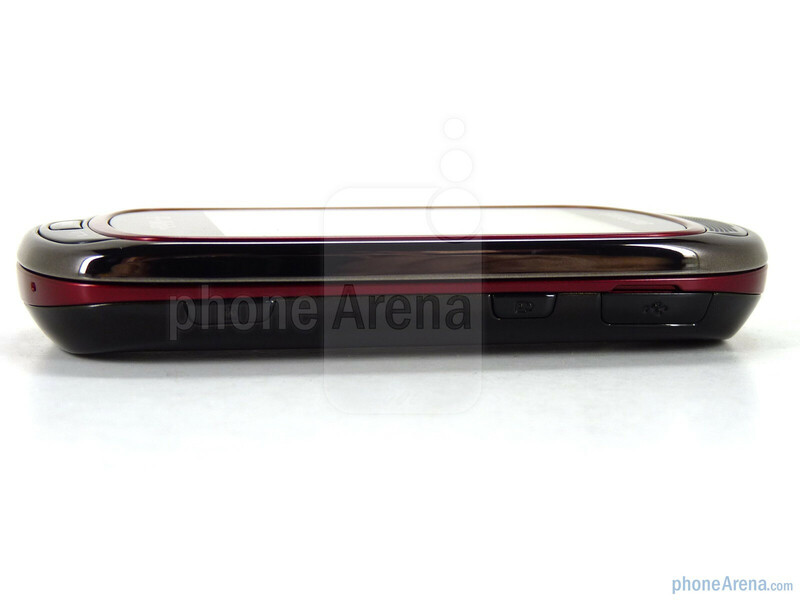 Along the right side of the Gravity T you’ll find the microUSB charging/data port, Lock and Camera keys. To the left is simply the volume rocker and the back houses the 2 megapixel camera and single speaker. Like we saw on the Samsung Restore, the battery cover is removed by prying from the bottom, a process we are not too fond of as it has a tendency to pop the battery out as well. 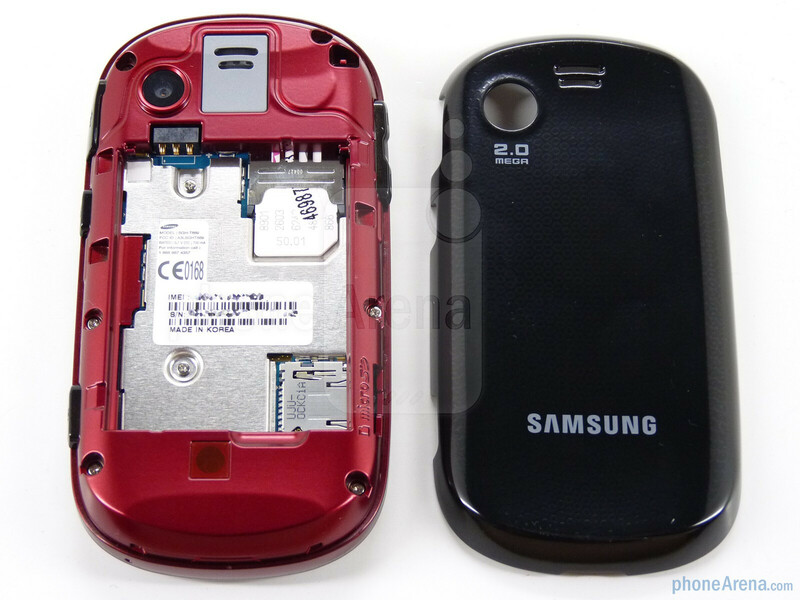 The microSD slot is on the right side of the phone, but the back cover must be removed to access it. 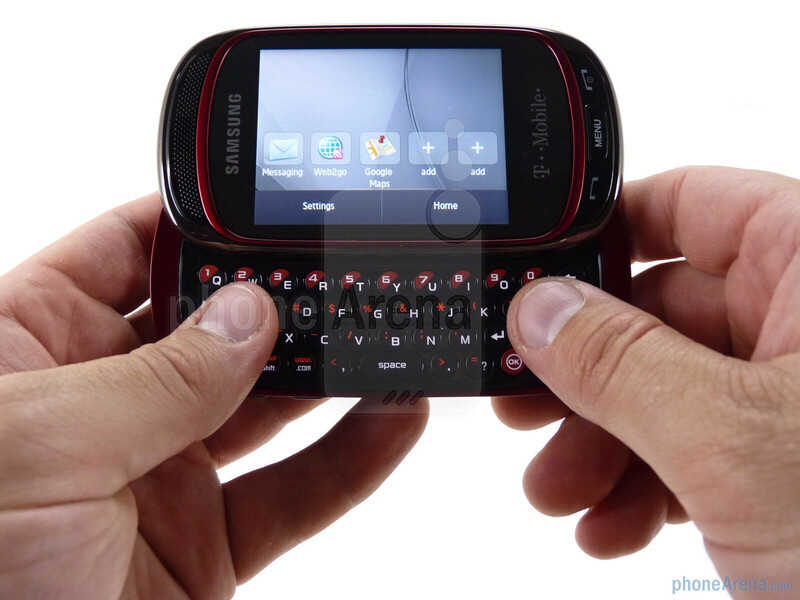 The QWERTY keyboard isn’t our favorite, but then again we didn’t have too many problems typing on it. The keys are round and flat and offer decent feedback. The combination of spacing and size led to a poor feel for us and we were never quite comfortable typing on it. That said, we were pretty accurate and decently quick when using it. Overall the Samsung Gravity T is an OK mid-range phone, though it definitely feels the part. The plastics used are hard and slippery and the touchscreen has some drag to it. The slide mechanism is very solid and reassuring. The phone fits comfortably into your hands but isn’t quite as nice as the Seek, which also features better materials. "Cons: high price for what you get" then you scroll down a few inches and see that you can get it for free. Nice. Through indirect retail sellers, you can get it for free. Through T-Mobile, you'll have to pay $80. Wirefly, LetsTalk, Radioshack, Best Buy Mobile, etc. etc... they all offer phones at lower prices. Many free, even smartphones. However, the official price from the carrier is $80. My sister got this phone last week. Its not horrible but its not great either. I recommended to her (and anyone else who gets this phone) to install Opera Mini 5 on the phone. The stock browser is trash. 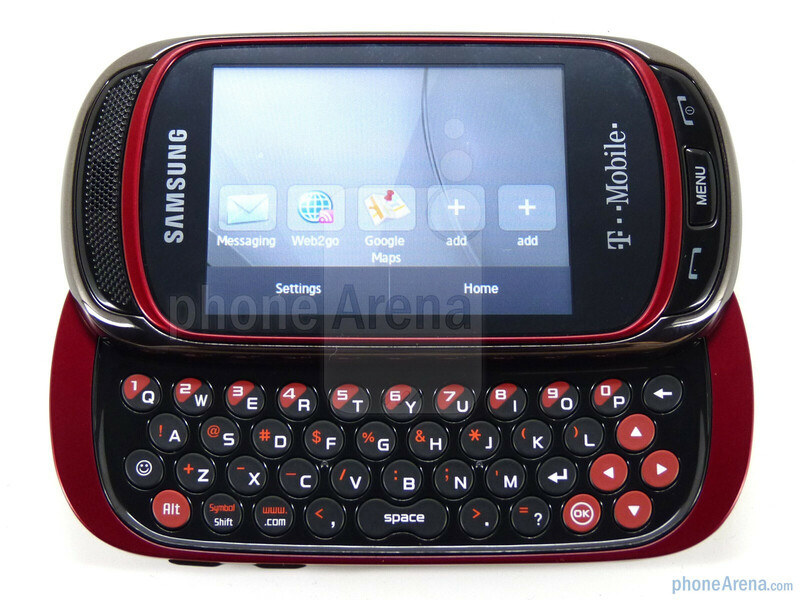 i think this phone is nice enough for what i use, which is just calling and texting. of course this isn't a smartphone so don't expect it to be mind blowing. Hi my name is joshua i had this phone and this is the worst phone i haved in my life....it freezes toooooo much....i juss wanna break it....the charging strength not soo good....so i reccomend DO NOT BUY THIS PHONE....I RATHER HAV A CHEAPER PHONE!!! I hate this phone!!!!! 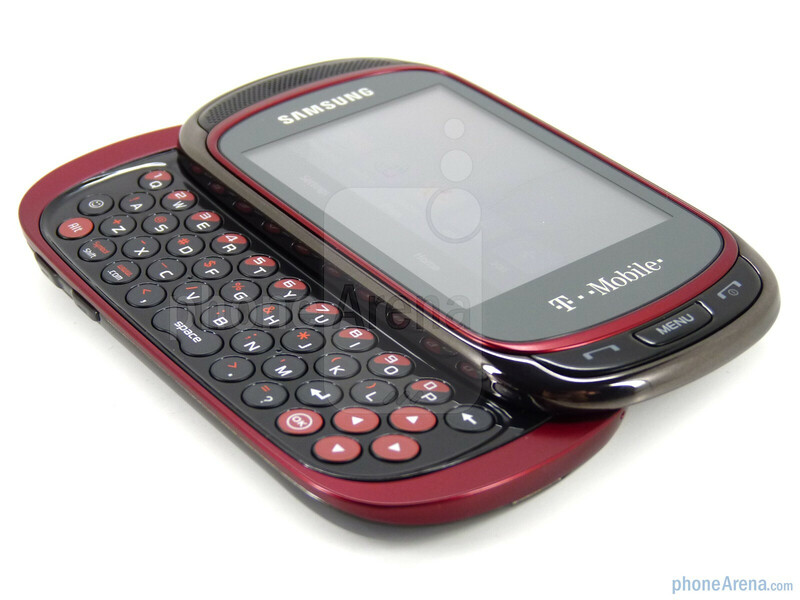 It is the worst phone I've ever had. I would have returned it within the 30 day trial but my daughter had scratched the screen trying to get the touch screen to work. It freezes up, the touch screen is not accurate, it powers off on it's own and the camera doesn't alway close on it's own, I've had to take the battery out to turn it off. I do not reccomend. HORRIBLE PHONE!!!!!!!!!!!! Junk! Querty keyboard is great but that's about it. The touch screen has never been accurate and now does not work at all. 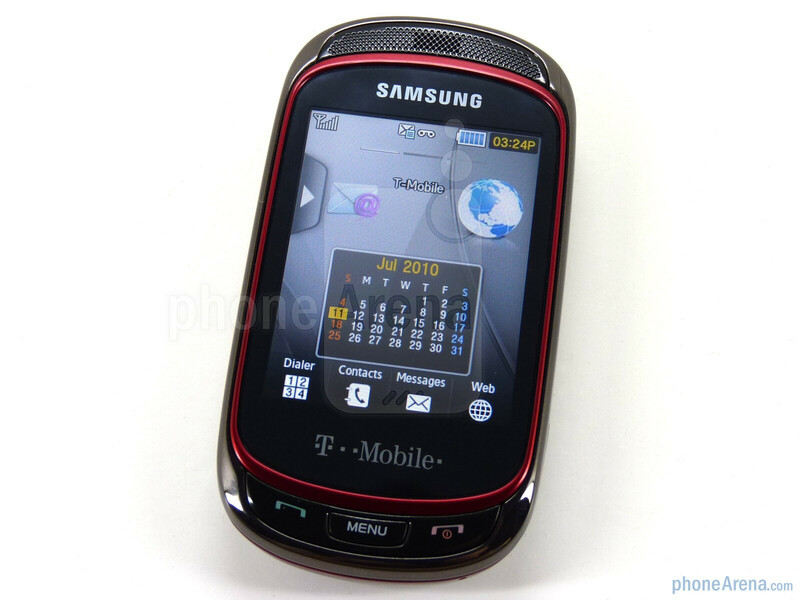 Luckily I have it insured and TMobile is replacing it with the Samsung Comet....we'll see how that goes. I do not recommend the Gravity T at all!!! !